Learn the different areas you should consider when wanting to become a dropship supplier such as shipping dropship orders, managing inventory feeds, providing product data and creating policies. 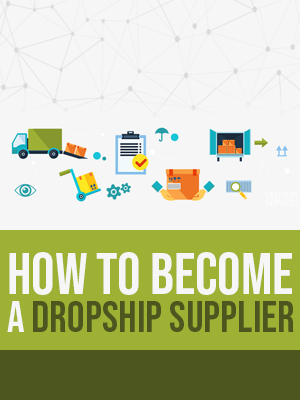 The first step to becoming a dropship supplier is to first find out if you can, well, dropship. This chapter highlights how to determine if your company has the ability to fulfill dropship orders. Providing good product data is a challenge that traditional wholesale suppliers don’t have to face, but it is critical when becoming a dropship supplier. This chapter talks about why this is important and how to provide an inventory feed. The automation of your inventory and orders for your dropship retailers can really set you apart from other supplier competition. The chapter explains how you can go about automating your dropship inventory and the orders your retailers receive. Efficiently handling invoicing, payments and returns of dropship orders is essential to running a successful dropship program. This chapter goes into how to manage these workflows and what to consider when doing so.